Before we get into this guest post, I want to set the stage. This post was written by Lynn Vigo, MSW, LICSW and originally published on the Seattle Children’s Hospital website. ALL credit goes to her for this amazing piece. You can find the original article by clicking on the title below. 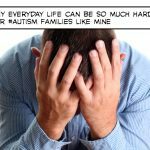 One of the biggest problems facing families of kids on the Autism is family, friends, co-workers, employers and just about everyone one else not understanding exactly what it is that we face, each and every day. Lynn explains what life is often like in a way that is so honest and impactful, it simply must be shared. I was so impressed and moved by this article, that I wanted to post this here because I think that my readers in particular, may find this beneficial. Not only does this give better insight into why the Lost and Tired family is the way we are, it can help others to better understand what their own family or friends might be going through as well. In the quest for Autism Awareness, both for individuals on the Autism Spectrum and their family, having a better understanding of the reality and gravity of the situation is a key. This was a seven part series and so it’s a bit lengthy. However, it’s so important to get this out there because families like mine and yours, needs all the support and understanding we can possibly get. I’ve highlighted a few passages that I really think are important. “A series on parental stress, marriage, divorce, single parenting, step parenting, siblings, and more. With a global picture that seems to get tenser every day, is there anyone on the planet who doesn’t feel it? Science tells us that a certain degree of it can be a good thing. It’s what allows us to grow stronger emotionally, cognitively and physically. Often things that make us feel a bit anxious are the ones that nudge us out of our comfort zone to trust our instincts, test our limits, take a chance. Too much stress, we all know is not a good thing. Too much and we face a host of emotional, cognitive and physical problems. You know where I’m going with this . . .
Parental stress and autism – they go together like egg and yolk, like wet and water, like Seattle and rain. 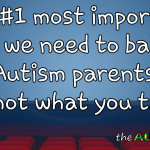 If you’re a parent or caregiver of a child with autism, you don’t need anyone to tell you this or the reasons why. You live it 24-7. Hyper-vigilant, sleep-deprived multi-taskers that we are, we are our child’s teacher, advocate, therapist, protector, and pal. We unconditionally love kids who take center stage in our lives, most often above self, other family, friends, and marriage. We forever wrestle with our heart’s desire to protect their tender souls, but also challenge them to break out of the safety of familiar grooves where they easily get stuck. Several recent studies have reported on findings about parental stress including one out of the University of Washington and one from Kennedy Krieger Institute’s Interactive Autism Network (IAN) project. Not surprisingly, each found a high correlation between parenting a child with autism and parental stress. In a nutshell, below is what each found. For details of these studies please click on the following links. The UW Study involved mothers of young children with developmental disabilities including autism and looked at challenging behavior and daily living skills. Some of the more interesting findings include: mothers of children with autism reported higher levels of stress than mothers of children with other developmental disabilities and that the hard work of dealing with challenging behaviors and deficits in daily living skills did not account for the higher level of stress related to parenting. The IAN Study found a number of factors associated with parenting a child with autism including disappointment with treatments, parent exhaustion due to sleep issues, difficulty in getting treatments, setbacks that a child has, the child’s behavior, and the most stressful of all –worry about the future. Are you kidding me? In the early years of my daughter’s diagnosis, I hated when I was told by well-intentioned family, friends and strangers, that I “just needed to find balance” in my life. First, any sentence that begins with “you just need to . . .” often means that the person telling me this has no clue what I’m living with and that what is being offered is a simplistic answer to a complex issue, as are most things with autism. If it was that easy, I wanted to say, don’t you think I would have tried it already? Secondly, since the elusive “balance” was never within my grasp, it felt like just one more thing I failed at. Ditto with people telling me I needed to take care of myself. Of course, I agreed. But how, pray tell, was I supposed to do this when living moment to moment with hours-long tantrums, broken sleep, ongoing battles with insurance, advocating for school services, on top of the usual stuff of life -like what to fix for dinner? Realizing that balance and self care and all the other things that I was “supposed” to be capable of were actually possible happened when I let go of old ideas about what these things meant in the context of my life with autism. Reframing is what finally made a difference. Here’s an example. I used to be a person who needed 8 hours a night of uninterrupted sleep. Are you laughing yet? If I didn’t have this, I’d be as cranky as a two year old. 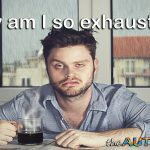 For years I made it worse by pouting about it and resenting the fact that I didn’t get sleep. It wasn’t fair; other people got to sleep! If I got the chance, I’d try and nap, but there was noise and it was too bright in the bedroom and there was so much to be done. One day I decided to take a pillow and sleeping bag into our mini van in the dark garage. Flashlight at my side, I curled up in the backseat and slept like Rip Van Winkle. Now I take naps in the closet, in the car, in the backyard. Where there’s a will, there’s a way. Same with self-care. I’m not talking about Oprah kind of self-care. I’m talking about going to the grocery store and once in a while picking up some flowers or a treat -just because they make me smile. I’m talking about making my own health a priority so I schedule my doctor and dentist appointments with the same regularity as I do those for my kids. I’m talking about getting out of the house every now and then for a meal or a walk. I’ve discovered that things I used to procrastinate about such as dental check-ups have become things I look forward to – give me a magazine, sunglasses, and a reclining chair and I can almost pretend I’m on vacation. I was summoned for jury duty this summer, but with school out, it would have been a hardship to serve. My sister did point out to me though that should the jury be sequestered in a hotel, it could mean three hot meals and sleeping through the night. How’s that for reframing what respite looks like? The challenge sometimes is to just be . . . not to always do. Tell us your experience in dealing with stress and how you have reframed what “normal” life looks like. Others will benefit from knowing they are not alone. For a dozen years I’ve heard the statistic that 80% of parents of children with autism divorce and for a dozen years I’ve tried unsuccessfully to find the purported study. I did, however, locate studies whose findings provide evidence that the 80% divorce rate is an urban legend. Brian Freedman, clinical director of the Center for Autism and Related Disorders (CARD) at Kennedy Krieger Institute used data from the 2007 National Survey of Children’s Health of more than 70, 000 children age 3 through seventeen. Debunked the 80% myth: 64% of parents of kids with autism remained married compared to 65% for those who did not have a child with autism. This means that the divorce rate was virtually the same, about 35% not an exorbitant 80%. Slightly different results perhaps due to the different age groups studied. This one looked at children age 14-57 (many were in their 30s and 40s) based on the idea that parents are more likely to divorce when kids are young. This was a longitudinal study of parents of 406 people with autism and a similar number of parents with typically-developing children. Up until age 8, both groups had the same rate of divorce, but from age 14-57, the parents of kids with autism had a higher rate of divorce compared to the group with typically-developing children. However, at 23%, this is much lower than the 80% bandied about. The group of parents with children without autism had a rate of 14%. theautismblog: How long have you been married? 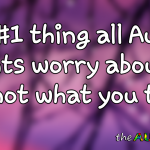 theautismblog: What is most stressful for you as a couple in parenting a child with autism? Having different opinions on how to handle difficult behavior. Difficulty working as a team when emotions are running high all the time. Lack of physical connection because we’re exhausted by the end of the day. Not knowing how to handle difficult situation with our child. In our child’s younger years, we fought over care, treatment, and the effects of autism on our other child. At one point, I moved out. I didn’t mind the disagreement as much as the roadblocks. I insisted my husband go to counseling. He did and we stuck it out together. Today we are an extremely happy, committed couple. theautismblog: What do you do to maintain your marriage in light of the stressors and conflicting demands for time and energy in parenting a child with autism? Making time almost every night to talk about each other’s day. Grandparents who offer to watch our child overnight every few weeks so we can get a break. Respect. Realistic expectations. Honor. Promise to our wedding vows. Talking about how we feel – checking in with each other. theautismblog: What positives have you gained in your marriage from having a child with autism? We have a strong bond and acknowledge we wouldn’t want to do this with anyone else. Special parents are given Special kids! The struggles make us feel as if we are stronger than we saw ourselves previously. We realize we are stronger together than apart. I’m not sure we could have learned the coping/compromise skills without this type of stress so it’s possible autism has made us better as individuals and stronger as a couple. theautismblog: If you were asked for a few tips for couples new to an autism diagnosis for maintaining a strong marriage, what would they be? Maintain a “safe” environment where each can speak free of judgment. Join a support group you can both go to together. It’s ok to be “typical”, but at some point you need to set yourselves apart from the mainstream. Having a child with autism is going to change what you do for fun, what you do for work, how you interact with family, friends, acquaintances and the general population. Know what you stand up for is precious! Throw out all your preconceived notions about what could have been and live every day for that day and that day alone. Let your partner carry your burden when you are weak and when he is weak, you carry his! It is a two-way street that isn’t paved due to funding cuts! Get help through therapy for your child and counseling for yourselves. You can’t do it alone. Schedule “us time”. You have to do this. You can’t expect the couple relationship to survive if all the energy goes to the child or children. 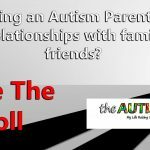 theautismblog: What else would you like us to know about marriage and parenting a child with autism? I am incredibly blessed with all things that touch my life. Why I don’t know. But I thank God for everything, yes, even the painful stuff. I believe that you get what you give. So I always try to be good to others. Our counselor taught us that our feelings don’t have to ruin our relationship. Help your spouse to identify his feelings and try and understand where he is coming from. Do not keep score. You will both feel under-appreciated and like you are each doing “more” or doing it “better” or doing it “right”, but in the end, you are doing exactly as much as you can and that is all that really matters. In summary, there is no dispute that the many challenges that autism brings causes additional stress for parents but getting an autism diagnosis does not in any way predict the end of one’s marriage. Can you imagine if your child just received a diagnosis and at the same time you heard that there is an 80% chance your marriage will end? At a time when couples need each other the most and need hope to inspire them to move forward, this is the last message they need to hear. As many of our survey respondents pointed out, keeping your marriage strong is not easy. Respecting and accepting each other’s differences, asking for help, getting counseling for yourselves and/or the entire family can lighten the load. These are three things we don’t ever think will happen to us when we’re newly married – or new parents – or newly diagnosed. As noted in our last blog on autism and marriage, having a child with autism certainly does not mean that your marriage won’t last yet it’s obvious that autism brings many additional stressors to a marriage. And like parents of typically-developing kids, sometimes our marriages do end in divorce. Single parenting is a tough job. For parents of kids with autism, flying solo can feel like piloting a single-engine plane in turbulent skies. I couldn’t find any research on single parenting a child with autism, but I did run across blogs and perspective pieces on the subject. To get some insight into the unique aspects of being a single mom or dad, we did an informal survey of local single parents. Some identified themselves as single parents whose ex shares in child-rearing while others identified as single without any involvement from their ex. Here’s what they had to say. How long have you been a single parent? What is the most difficult thing about single parenting? Some of my married friends are envious of my “time off” when their father has our kids. When I have them though, it is full-on, no buffer, no break, no back-up. I have to compartmentalize to create time for myself – which was impossible for many years. I used to hate when people would tell me to “be sure you make time for yourself”. What have you learned/gained from single parenting? That I can’t do everything myself! That lots of what I think I ought to do for my children turns out to not be crucial. Family dinners went out the window a long time ago! I’ve gotten to know some amazing people, other parents who are making it work (or at least surviving) with a sense of humor and hope intact. I never stop seeing this as a miracle, honestly, because I know how close to the edge we all run, all the time. What tips might you offer to new single parents? Don’t speak ill of your ex –kids hear everything! Remind yourself that you are not a bad parent and that there are reasons your child is struggling. In fact, you go above and beyond! Is there anything else you want us to know about single parenting? Make time for your other children. Sibshops at Seattle Children’s are great! We’d like to thank our parents who contributed their thoughts and feelings to this blog. Are you a single parent of a child with autism? Share your story with us. You will find you’re not alone. If you are a stepparent, you know how challenging it can be to assume that role in a child’s life. Even if you and your spouse dated for a long while, marrying and combining households isn’t always as warm and fuzzy as Mike and Carol of The Brady Bunch made it look. The “packaged deal” brings so much to the marriage including a child or children, an ex-spouse or two, in-laws, and all that kitchenware. If you’ve not had children yourself and are becoming a parent for the first time, there’s a steep learning curve as you find your way on the parenting path. Take all of this – and add autism – and you have quite an adjustment for all concerned. Parents of kids with autism are often heard to say that “I have no choice” when praised by others for the tough job they have. What about parents who DO have a choice? I’m talking about stepparents who have chosen to become parents of a child with autism. Once again, I couldn’t find any research on the topic so we turned to our local experts – stepparents of children with autism. How long have you been a stepparent of a child with autism? How much did you know about autism before you met your spouse? I had worked with kids with autism prior to meeting my new family. In retrospect, do you think you knew what you were taking on when you became a stepparent of a child with autism? Of course not! I had no children of my own so becoming a parent in the first place was a novel experience but adding autism to equation made it more so. It’s a shift in perspective to have kids at the center of your personal universe. As a teacher, kids are at the center of my work universe. There was a steep learning curve for autism and more specifically my wife’s child with autism. No, I didn’t entirely know. I knew it would not be easy, but I was willing to take it on. What is the most challenging aspect of step-parenting for you? Not knowing what the future holds for her – what will happen to her after we’re gone. Having a hard time figuring out what’s distressing her and how to make her feel better. Having to figure out and guess what is best for her all the time. When it’s your own child – it seems you’re gifted with this precious being and there is a natural bond. Maybe that is an assumption on my part. As a stepparent, that bond was built over time. I remember when I was getting to know her and she was upset and crying. I gently approached her and touched her foot as her mom had told me she likes massage and pressure when she’s upset. She’s nonverbal so I wasn’t sure if I’d know to stop or continue. I stopped and she took my hand and placed it back on her foot. “Do it again” she seemed to be telling me. That was a big moment. Getting professionals (school staff, therapists) to view me in a parent role and include me in communication. Knowing where the boundaries are. I have good intentions, but sometimes decisions are best deferred to mom. 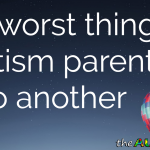 What have you learned, gained from step-parenting a child with autism? “I am still learning”, said Michelangelo. I have more patience in my work as a teacher. I now help my colleagues when it comes to kids with behavioral challenges. I used to see challenging behavior as more intentional than due to some underlying issue. I’d deal with the immediate behavior. I didn’t think beyond the behavior to why. I’m less judgmental about parents than I used to be. The ability to look at the bigger picture. If you were asked for a few tips for someone new to step-parenting a child with autism, what would they be? Be open-minded, honest about what you feel and think and don’t know. Know that you will make mistakes. Remember that you need to take care of you too. And keep your marriage healthy and strong. Keep your hobbies and interests -you might not have as much time as you used to but don’t give them up. Your spouse doesn’t need a martyr -she needs a partner. Open up your schedule. Do not confine yourself to just your plans. Be open-minded to your spouse’s views and more accepting of things outside of your control. Don’t take it personally if behavior by the child is directed at you. Don’t hold your spouse accountable for the child’s actions. What else would you like us to know about step-parenting a child with autism? My life is fuller, richer and more meaningful with her in it. It is both empowering and humbling to realize strengths and skills you never knew you had and also to realize that no matter how much you learn there is still much you don’t know. And it is the hardest thing I’ve ever done in terms of the sheer vigilance required for a child who needs 24-hour attention. It’s hard as well getting to a place where I know for sure that we will all be okay because we’re all doing the best we can. You need to have a big heart and understand that nothing goes as planned. Stick to routines as much as possible. We’d like to thank our stepparents for sharing with us their thoughts and feelings on parenting a child with autism. We recognize there are unique aspects in your role and know that others will benefit from your experience. Parental love may be unconditional but sibling love? That’s not how I remember it when I was growing up with a sister and two brothers where we lived with a quid pro quo arrangement better known today as “What have you done for me lately?”. I’ll do your chores today if you don’t tell mom that I lost her favorite . . . Wait a minute. I’m pretty sure my mother subscribes to this blog so back to the topic at hand –siblings. I recently read an article in the Washington Post written by the sibling of someone with autism. The author begins with one of her “bad stories” of life with her brother with autism and when asked to recall a good one, couldn’t come up with anything. Nothing? Not a single good memory of one’s sibling? My first thought was “How very sad.” But remember, I am a parent of a child with autism not a sibling. My knee-jerk reaction doesn’t count. I recall all too well my son blurting out the injustice of having a sibling with autism when he declared, “It’s not fair! Carrie’s lucky, she gets to . . . “. My quick reply would be, “What about autism is fair? Is Carrie lucky she can’t talk or play with other kids?” Bad mama move, I know. I’d then take a deep breath and do what I should’ve done in the first place –validate his feelings about it. Perception is reality. The author of the Post article calls out the lack of research (do you notice a theme here with the lack of research on the impact of autism on family members?) but does point us in the direction of Ryan Macks, a child psychologist at Cincinnati’s Children’s Hospital, who suggests the author’s sense of having lost her childhood to her sibling with autism is not the norm. He goes on to note that there is much variability in how siblings are affected and in what their outcome is, ranging from those feeling that they were burdened by their sibling –to those who seem not to be affected -to those feeling they benefitted from growing up with a sibling with autism. Certainly not to dismiss the Washington Post author’s feelings, it is easy to see the issues that cause stress for siblings: confusion and embarrassment about their sibling’s behavior, disappointment about not having a sibling to play with, being the target of aggressive behavior, resentment over not having more attention and time from mom and dad, worry about the future and feeling responsible for future caregiving, feeling a need to not ask for much in order not to additionally stress parents who they often worry about. Even when he was a youngster, my son was quick to offer assistance and support when he saw me struggling with his whirling dervish little sister. I remember once in the heyday of our intensive in-home ABA program, he insisted on doing a therapy session with her. We videotaped all sessions so he turned on the camera and went to work, going through the drills he had heard over and over with her tutors. “Carrie, look at me”, he’d say, “do this” and he’d clap his hands in an effort to have her imitate his action. We have plenty of video footage of their early years, but I think that twenty minute clip captures so much of their relationship and is one of my most precious memories of their childhood. They have never been friends, pals. She has always engaged with him the way she does with all adults, as a means to have her needs met. And he has always engaged with her in a caregiver way -big brother, shepherd and teacher. Now seventeen and preparing for college, he continues to jump in to help. Last night it was changing bed linens and getting his sister showered and dressed after another accident in regression in toileting that is causing a great deal of stress for all. I often look at him with pride and think what a great husband and father he will be one day, quite at ease changing diapers and being awakened early in the morning. We haven’t viewed that video in a while. I wonder what my son would say now, a dozen years later? 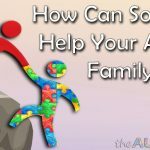 For more on autism and siblings, I looked to the Autism Society where I found some helpful information, some tips for parents on supporting their other children. Explain autism to siblings: “do it early and do it often” in developmentally/age appropriate ways in order to help siblings understand behaviors. Help siblings form relationships: since social play does not come naturally for kids with autism, it can be disappointing for siblings to have their attempts at play rebuffed. Teaching your other children a few skills to help engage their sibling with autism can help facilitate play. Find special time for siblings: It’s impossible to provide kids with exactly the same amount of attention, particularly when one child (or more) has autism. Making a commitment to designated time just for siblings and parents can help alleviate those feelings of unfairness. You don’t have to do everything as a family: there are times when it just makes sense for parents to participate in family activities without their child with autism. Find support for siblings: Having a sibling with autism can be isolating. It can be quite helpful to find peers who experience the same challenges. Bottom Line: There’s no question that autism has an impact on siblings. Most siblings cope well and handle the challenges with the love and support of their parents. Are you the sibling of someone with autism? How has this impacted your life? We’d love to hear your story. Years ago, a catfight broke out on a local listserv for families of children with autism. The new guard (parents new to a diagnosis) was having it out with the old guard (parents of older kids) over treatments. Criticism flew in all directions and it was getting downright ugly. Back then I was more a listserv-lurker than a writer, but my concern about this divisiveness propelled me to post a reminder that we were more alike than we were different and that we all wanted the same thing for our kids. I pointed out that autism is hard and we need all the support we can get so let’s be kind to each other. It was a long post and I had regrets as soon as I hit the send button. 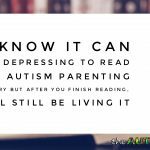 It was well-received though, and many said that they planned to use it as a primer for family and friends to help understand life with autism. Years later, soon after I started with Seattle Children’s, I was asked to co-present with a psychologist colleague to a group of psychology/psychiatry residents on autism. She was to cover evaluating and diagnosing autism and mine was to be a parent’s perspective on autism. How on earth, I wondered, do I begin to capture life with autism? What I wanted was for the group to come spend 24 hours with my family, but that wasn’t going to happen so I decided on the next best thing. I asked friends to videotape my family from the time we got up in the morning until the time we went to bed at night . . . and the time we got up in the middle of the night! We began taping in the summer and finished up just after Christmas. With a dedicated crew and cast, “A Day in the Life with Autism” was made, 24 minutes representing 24 hours of life with autism. I decided that the video needed an introduction. 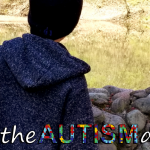 I dug up that old post, reworked it a bit, and there it was: The Impact of Autism on Families. My initial audience was this group of residents, but I have been asked over the last five years to present to a variety of staff including pediatric dental residents, educators, therapists, camp counselors, emergency medicine, clinical research, and social work. 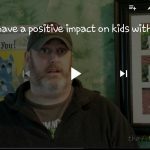 Each time, I tailor it to that audience taking into account the specific experience families of kids on the spectrum have with staff in that department whether it be a blood draw or a dentist appointment or an emergency room visit. As the last in this series of blogs on autism and family life, I share with you the original one written for those in the mental health field. It is offered with the hope that it might help you to explain your child and your family to your providers, maybe even your own friends and family. I once submitted it as a perspective piece to a professional journal, but was told it was “too negative” and was asked to change it to be more positive. In all the years of presenting this, no one had told me it was too negative. Raw? Yes. Honest? Yes. I declined trying to rework it, knowing that it would be fiction, not my real life. So please keep in mind that this is one parent’s perspective, a portrayal of my life with autism, both the challenges and the blessings. My daughter, Carrie was a beautiful, bright-eyed baby, who was right on track developmentally. Early photos and video show her smiling for the camera, playing with her toys, engaged with those around her. Somewhere after her first birthday though, she slowly began to change. She stopped responding to her name. Instead of playing with her toys, she became fixated on kitchen utensils, insisting on having one in each hand. Most noticeable of all, her big brown eyes took on a dreamy look, and she seemed to be fading away from us. 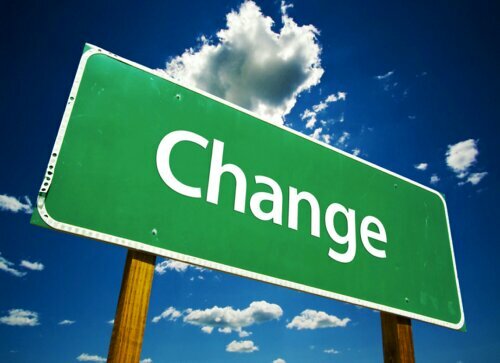 During these months of change, I struggled with an increasing intuitive sense that something was just not right. However, the changes were quite subtle, and when I brought them up with others, I was reassured that there was nothing to worry about. For as long as I could, I clung to those opinions, because my heart was not able to challenge what my head was telling me was true. That there was indeed something wrong, and that it was autism. Shell-shocked, and with a dire sense of urgency for fear of a window closing, we go online and read all we can about autism. We’re overwhelmed with the choice of interventions and confusing, often conflicting, results of efficacy. ABA, RDI, DIR, PRT, special diets, medication, supplements, chelation. When we got our diagnosis thirteen years ago, secretin, ABA, and the diet were the treatments du jour. Should we try one thing at a time or dive in and do multiple things at once, we wondered, worried how we’d know what was causing what. Back then, a staggering 40 hours a week of ABA was suggested. While this seemed crazy to us for a two year old, we were determined to do everything in our power to make autism go away. While impatiently waiting for interventions to work, parents read almost weekly about studies that link autism to older moms, older dads, vaccinations, influenza, rainy climates, errant genes, and a host of other things that push the parent guilt button for waiting so long to have kids, for getting a flu shot when pregnant, for not getting a flu shot when pregnant, and if nothing else, for passing on predisposing DNA to our child. While all this is going on, we have a child who needs us – kids who don’t sleep well or potty train easily, who are picky eaters, have odd, difficult, stubborn behaviors including hours-long tantrums and maddening rigidity. Many of us have other kids who need us. Siblings who don’t understand why sister gets so much attention, why we can’t go on family vacations like other families, why people stare when we’re in public. Siblings are often confused, even afraid of what all this means. I remember early on, my son asking me if his sister would ever be able to live by herself and then telling me that she could live with him. As we talked about it more, he seemed to regret that offer as he conjured up a picture of the future with his little sister and himself, as he was then, a mature child, but still, only a child. He wasn’t able to imagine her or himself as adults. Autism also doesn’t happen in a vacuum. Our other kids keep us busy with typical life such as homework, sports and driving. We have our own parents who are aging and need us more. We ourselves get sick. We have jobs, financial challenges, marital stress, and wounded hearts that grieve the “normal” life and dreams we thought we had. With each new intervention, hopes are raised and often dashed as it fails to provide the results we desperately wanted. As time goes on, we get some sense of where on that spectrum our child is. We wonder endlessly why some things work so well for some kids, but not for ours. It is easy for parents to get the message that they aren’t doing a good enough job. After religiously implementing the diet for fourteen months and seeing no improvement, I was told that I had to be doing something wrong. I just needed to check labels more closely. After five years of ABA, other parents told us we had wasted precious time when we should have begun with a biomedical approach. The desire to help our kids is so intense that we vow to try anything and everything as long as it does no harm. But how do we truly know? Look how things have changed from one generation to the next. When I was a kid, babies slept on their tummies, we took little orange aspirin (when we actually had chicken pox, measles, mumps, and rubella), we had no car seats or bike helmets and thalidomide was thought to be safe. Much has changed for the better, but there is much we still don’t know. Life is full of risks and we take them every day. Acceptance wasn’t something that arrived one day and stayed. It proved to be temporary, elusive. Because doctors are rightly hesitant to give a prognosis, it is difficult to know just what you are accepting. Only time would lead us to the place where we came to view autism as a life-changing challenge that we could handle. We never gave up hope, but we surrendered to autism and stopped trying to fix her. We began to focus on the positives – what she can do. And more importantly who she is – a pure-hearted, free-spirited girl who is smarter than people often give her credit for being. Carrie is sixteen now and is still significantly affected. She doesn’t talk, but she most definitely communicates! She is growing and maturing – always on her own terms – to the beat of her own drum and to the tick of her own clock. She’s the sweetest, most fascinating person you’ll ever meet. And I love her with every fiber of my being. She is following in the footsteps of her grandparents who spent their lives teaching. Many have commented on the lessons she has taught. For us, her family, we have learned the meaning of unconditional love for and from a child who has no words to say “I love you”. While we remain unsure of many things, we are certain she thrives in the love and affection in which she is surrounded. We are more patient, compassionate, open-minded, and forgiving. I’m better because of her – a better mom, a better clinician. I’ve found meaning in having a child with special needs and know exactly what my purpose on this planet is – to be the best mom I can be and to help make life easier for others. I recall telling Dr. Cowan, who gave us her diagnosis, that it felt as if we’d been inducted into a club to which we did not want to belong. After a while I found myself feeling fortunate to be part of this club, alongside fellow parents and providers working toward making life better for our kids. There are countless people who have chosen to work with kids with special needs who help lighten the load and to them I am forever grateful. I’m often asked what parents appreciate from providers and, in a nutshell, I’d say being treated respectfully, feeling cared about, and helped in concrete ways. It helps to hear your vote of confidence as we try new things with our very complex kids. It feels good when we’re asked, “And how are YOU doing?” after hearing about our child. It is empowering to hear you ask us what we think about a particular situation involving our child. Easy access to you is so appreciated. The nature of your training is in dysfunction. Parents may feel some scrutiny when asked about family history and parenting practices. Give them credit for knowing their child better than anyone, and point out their strengths, things that they are doing well. With parents of older kids, it’s easier to ask them what they have not tried when it comes to treatments. With parents new to the diagnosis, be gentle – this is a whole new world for them. Parents are weary from always being in hypervigilant overdrive and we can come across as cranky – but it isn’t personal, so forgive us. Keep in mind the many cultural and socio-economic differences that come into play with a disorder that affects families from all walks of life. In some cultures, it is considered a reflection of the family, a defect or blemish, so asking for help may not come easily. I sometimes hear parents express concern that their child won’t be a contributing member of society. In some languages, there isn’t even a word for autism. While awareness is much better today, there are still many people who have never heard of autism and explaining it to parents with limited proficiency in English can be a challenge. Much of the resources available are described in English only and many treatments are expensive, not covered by insurance, making access impossible to those who don’t have the financial means. In my work helping families, I often hear them sigh and say to me, “You Get It!” They ask me to help providers to “get it”. While I think it’s not truly possible to do so unless you walk in these shoes, I feel compelled to try to convey as much as possible what life is like for families living with autism. You can, however, help parents get off to a good start by shaping positive experiences and promoting self-efficacy. For me this included being treated as an intelligent, caring parent, having my concerns taken seriously, and partnering together with mutual respect. These early successes gave me the confidence and the competence to do what I needed to do, leading to less stress for me, the belief that I could handle future challenges, and ultimately, better outcomes for my child.